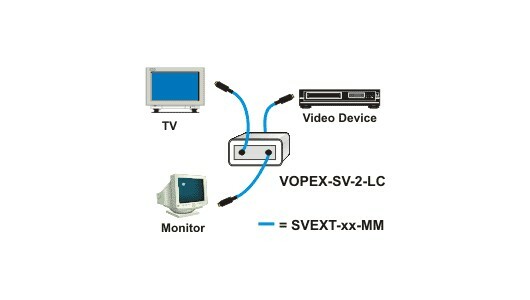 Use one S-Video source to display the same image on two S-Video TVs/monitors. 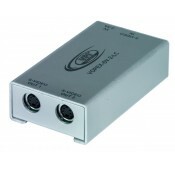 These S-video splitters enable two S-video monitors to be driven by a single video source. The same image is displayed on two monitors. Both outputs are individually buffered. Female 4 pin mini-DIN output connectors. Outputs drive standard 75 ohm loads.